With Mother’s Day around the corner this workshop is the ideal space to create a lovely, unique and personalised hand crafted gift. This will be the last printing workshop at the lovely Salt Cafe which sadly will be closing this spring 2018. Take this opportunity to enjoy Alan and Alice's beautiful light and airy space and create your own hand carved rubber stamp and hand printed mini journal. An introductory workshop for anyone wanting to have a go at rubber-stamping and hands-on printing. The opportunity to make time and space to create your very own personalised hand carved stamp and hand stamped mini journal. The workshop is suitable for total beginners. This will be your space to explore and experiment with mark-making and rubber-stamp cut images (hand-carved by you) in the light and airy space at Salt Cafe. With an emphasis on your own creativity, come and play and print on 100% recycled card and paper. 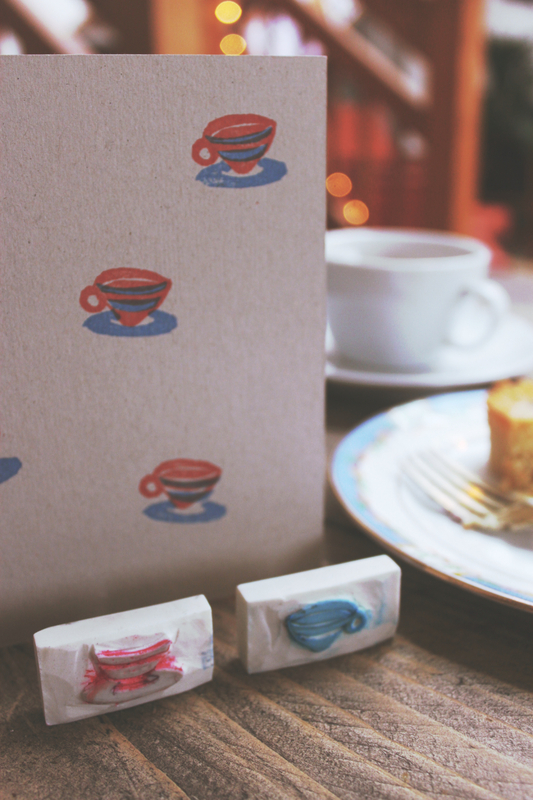 Take home your own hand stamped and hand stitched mini printed journal.